Qigong translates as “life energy cultivation” and utilizes practices that enhance the flow of life force in our bodies. The exercises often involve connecting breath with gentle, circular, flowing movements, bringing suppleness to the body and flexibility to the mind. It is this suppleness that allows the free flow of healing life force (qi) and connects one to authentic being. 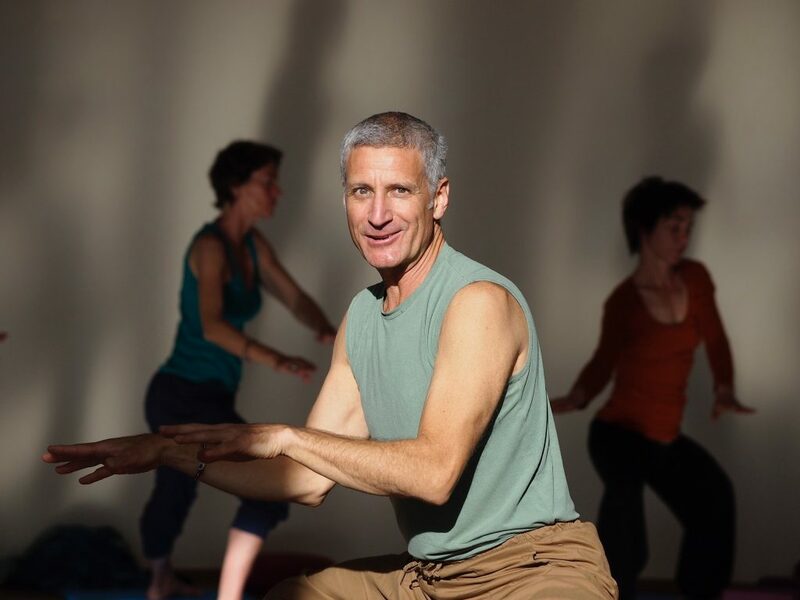 Through qigong practice, the senses are cleansed, and the movement of energy is experienced as pure joy. The two systems of yoga and qigong, are not at odds with each other. On the contrary, they are mutually supportive paths up the same mountain, from which the “one moon” can be seen in all its brilliance. Strength and flexibility (ability to hold firm) through yoga, and suppleness (ability to yield) through qigong. This brings balance to yin and yang, heaven and earth, sun and moon, male and female. Dancing with this pair of complementary practices brings balance to the whole being, and connects us to all of nature.